When you choose to buy Tate & Lyle Fairtrade cane sugar, you are making a difference to communities around the world. With your help, through the Fairtrade Premium, we support over 20,000 small scale cane farmers in developing countries. The Barbadian journey is inspired by the sticky and intense dark sugars traditionally known as 'Barbados' or 'Moist' sugars that characterise this rich territory's contribution to cane sugar grown in the sunshine. 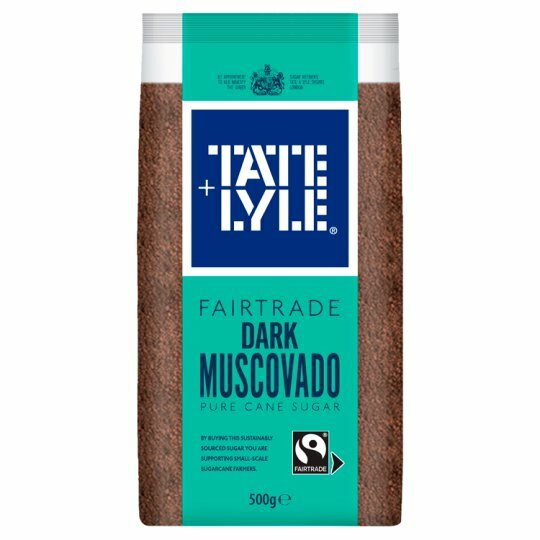 Dark Muscovado sugar has an intensively rich molasses, aromatic flavour, and a moist, fudgy texture. There are many more sugars to explore in the range. Adding extra depth and strong treacle-toffee notes to savoury barbecue marinades and to create classic fruit cakes.